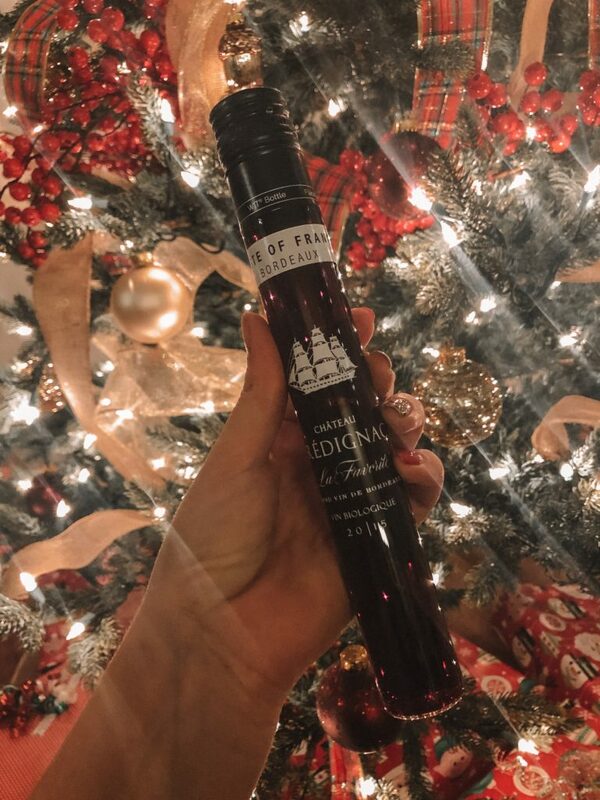 I’m dreaming of a WINE Christmas, and that’s exactly what concoction we are celebrating during the joyous month of December! 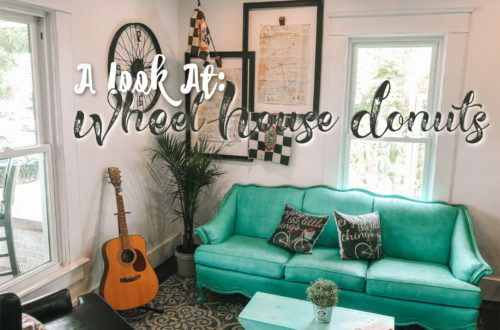 As an adult the holidays can be a stressful time and I found the best way to countdown the days to when your family takes over your personal space, is with “Twelve Nights of Wine“. My first choice for a holiday wine surprise was Aldi’s extremely popular wine advent calendar which sold out in minutes at all Aldi stores across the country. The calendar is a steal and you receive 24 different bottles of wine, one for every pre-Christmas day in December. Seriously, it’s a great deal and as soon as they hit the shelves they were gone and up on Ebay for hundreds of dollars. 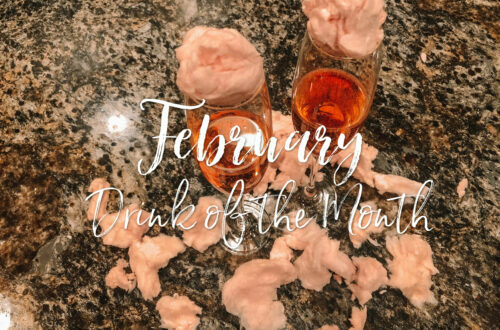 If you don’t want to fight and shove your way to the cheap wine, this next wine calendar may be more your style. 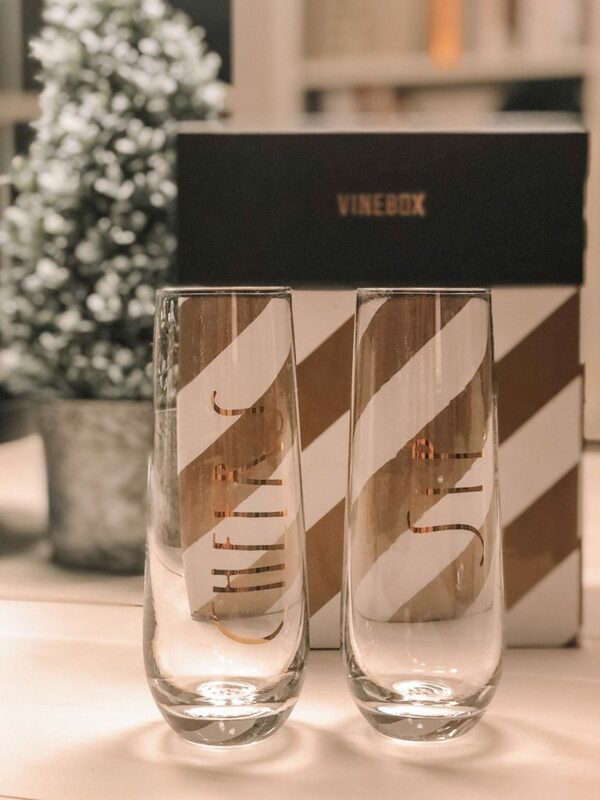 Vinebox is a wine subscription service where each season they deliver 9 perfectly crafted glasses of wine. 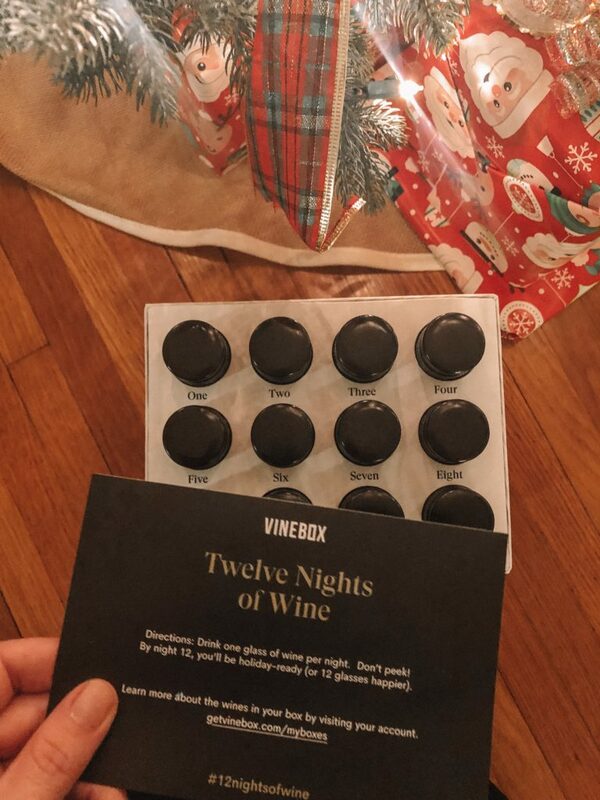 But during the holiday season, they offer a holiday advent calendar called the “Twelve Nights of Wine”. 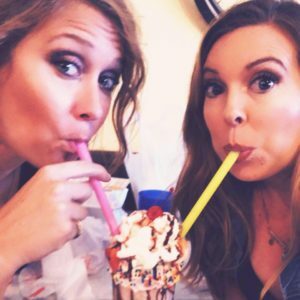 We chose to pre-order our boxes because they’ve sold out in the past, and we didn’t want to miss out on a great opportunity to drink wine every night. 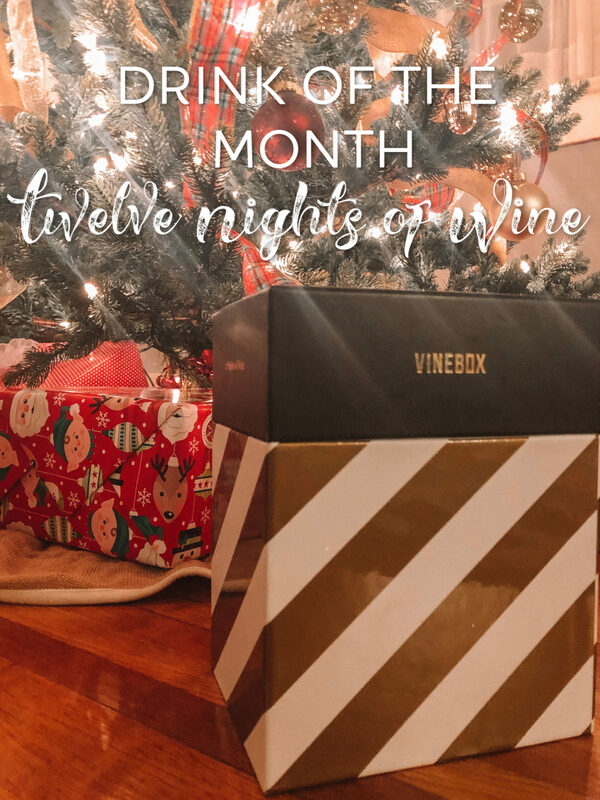 This Vinebox holds 12 different glasses of wine from around the world to help you countdown to the holidays in style. It is priced at $129 a box, and it makes an amazing gift for your girlfriends. The wine I have tested out of my box has all tasted great, and I like to think I have great taste in wine. The box includes a mix of red and white specially curated wines for the holiday season. 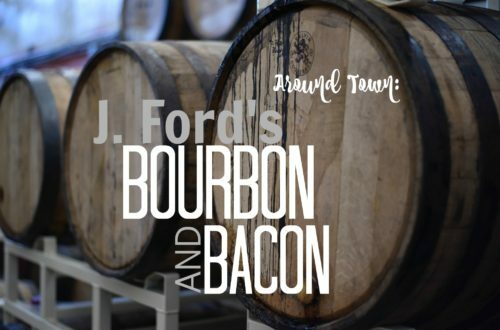 The box is designed so you can enjoy one glass each night without peeking at what’s to come. 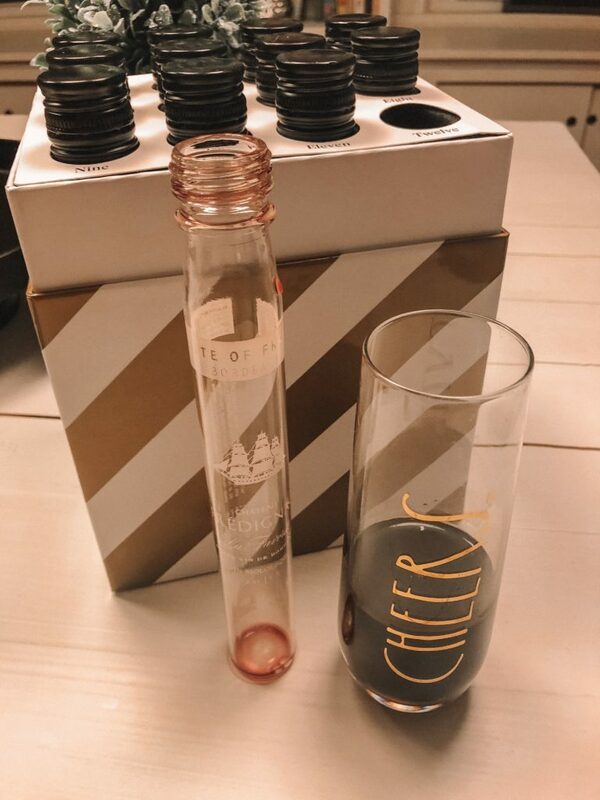 Vinebox has also placed a special gold bottle in 10 boxes where if you receive one, will receive wine on them for all of 2019 (a $644 value). The gift that keeps on giving!